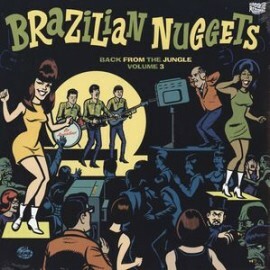 This is the third volume of the successful Brazilian Nuggets series put out by Groovie Records. It gathers oddities, surf, beat, fuzz and weirdo stuff that only crazy cats like Edgar Raposo and Luís Futre, the dynamic duo behind that label, are able to track down. All the tracks were taken from very hard to find singles, EP’s and LP’s . Includes unlimited streaming of BRAZILIAN NUGGETS VOL3 - BACK FROM THE JUNGLE via the free Bandcamp app, plus high-quality download in MP3, FLAC and more.